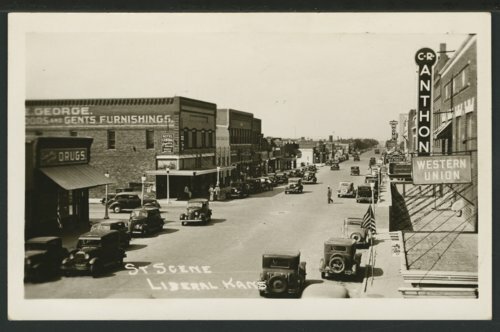 This is a view of the business district in Liberal, Kansas. A few of the visible businesses are Hotel Central, Taylors Drugs, Stoner Jewelry, the Warren Hotel, C.R. Anthony store, and Western Union.